Nile Rodgers On Streaming Payments And Songwriters' Letter To Spotify The famed musician and current chairman of the Songwriters Hall of Fame talks to NPR about a recent letter he and many other songwriters sent to the head of Spotify. 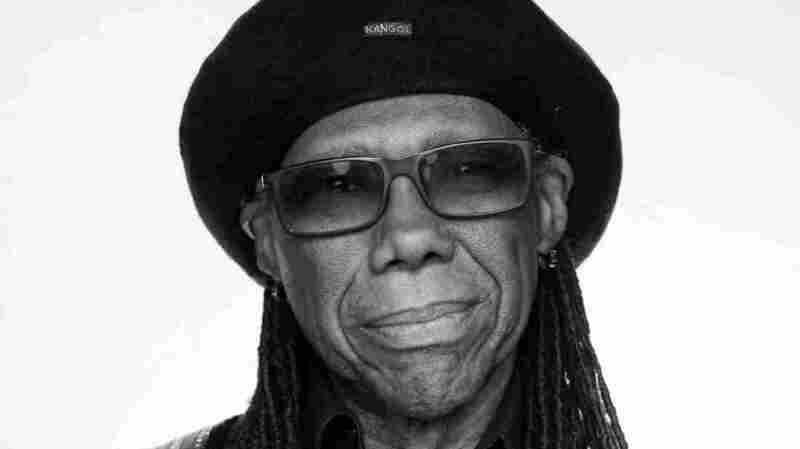 Nile Rodgers, photographed in November 2018 in London. Earlier this week, a large group of successful songwriters sent Daniel Ek, the co-founder and chief executive of Spotify, a short and pointed letter in which they wrote of being "hurt and disappointed" and accusing Spotify of having "used us and tried to divide us." In order to understand why that letter was sent, we need to go back to early February. It was then that a byzantine, but important, decision arrived which would see songwriters' royalties from streaming services increase dramatically over the next five years. But Spotify and several other music streaming services — except for Apple Music — then began appealing that decision. Thus, the letter (which, when asked by NPR, Spotify declined to comment on). Immediately after that appeal was filed, Spotify was roundly derided, accused of "suing songwriters." The National Music Publishers Association, which represents the companies that manage songwriters' business interests, scathingly observed that "no amount of insincere and hollow public relations gestures such as throwing parties or buying billboards of congratulations or naming songwriters 'geniuses' can hide the fact that these big tech bullies do not respect or value the songwriters who make their businesses possible." It's a characterization which Spotify disagreed with and tried to explain away. Nile Rodgers, the leader of Chic and recently appointed chairman of the Songwriters Hall of Fame, was one of the signatories to the vexed letter. Speaking as both an artist and an advocate on behalf of them, Rodgers gave NPR a brief overview of what's going on from his perspective. NPR Music: Who came up with the idea to send this letter to Spotify and Daniel Ek? What was the process of putting it together? Nile Rodgers: I was asked by my manager to participate because of my position in the songwriting community, and I felt it was an important message to put out immediately and to support vocally. I think it's intelligently presented and the message is very simple. Spotify, Amazon, et al. : Do not bite the hand that brings you your subscribers. You're the chairman of the Songwriters Hall of Fame – I have to assume that part of that role is advocacy on behalf of all those who don't make it into the Hall. What are the issues causing you the most concern? Do you think artists' best interests are front-of-mind for Spotify, or any streaming service? Daniel Ek and Jeff Bezos are highly intelligent people. They understand that people do not pay $10 a month to be able to push buttons on their technology — they spend their money to listen to The Beatles, Dua Lipa, Led Zeppelin, Beyoncé. If great artists and songs start to disappear from these services, the money will then evaporate and go to whomever can deliver them. I suspect Spotify and Amazon now realize they have handled this badly, and I hope for a swift resolution that has no impact on their growth. Are songwriters treated fairly in this brave new world of streaming? Or — is streaming even the root of the problem? Songwriters are not treated fairly! In the U.K., we have created a £350 million publicly listed fund — the Hipgnosis Songs Fund — that has demonstrated to the financial community that hit songs are as investable financial instruments as gold or oil. Our ultimate aim is to use the leverage of that fund to place the songwriter at the top, rather than bottom, of the economic equation. Songs are the currency of the music industry and these creators should be acknowledged and rewarded. Can streaming as it's structured now ever be equitable, or even profitable, for songwriters – particularly low- and mid-tier independent songwriters, who are often the performers as well? If not, what could a possible solution look like? There is no question that streaming will become equitable for all involved. History has many answers, and if you look at The Beatles, when they signed their record deal in 1962 [their per-single royalties were fractions of a cent]. By the time they break up, it's over 20 times that. Part of that is because they are The Beatles, but a big part of it is that the business of the long-playing record became more sophisticated, and artists started getting a fairer share of the pie. We are in the early days of streaming and in due course, with a lot of "discussion" and advocacy, we will get what we deserve. For now, Daniel Ek and Jeff Bezos should immediately withdraw their appeal and demonstrate to songwriters that this was an error in judgement and that they value [songwriters'] contributions.